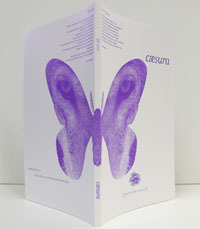 Go to the Cæsura CALL page. 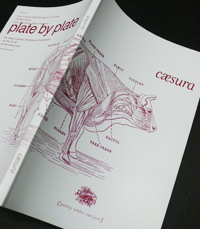 Caesura 2018 is available for pick-up or purchase at all PCSJ events. 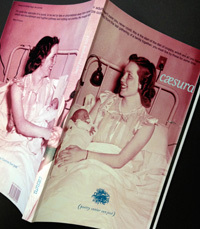 For more than three decades, Cæsura served its members as a literary newsletter and magazine. 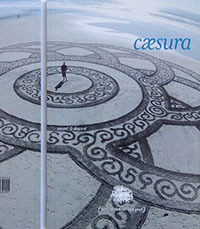 Beginning with the 25th anniversary issue in 2005, Cæsura updated its appearance and focus as a literary journal that includes poems, short fiction, non-fiction, critical work, book reviews, and interviews. We hope to provide our members and the public with a compelling mix of work from the established award-winning poet to the burgeoning writer. 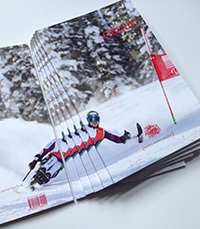 Most back issues are now closing out at $5 each, which is below PCSJ's cost for printing. Please specify the date and number of copies you are including payment for. 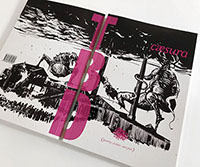 Back issues are also available at many PCSJ events. 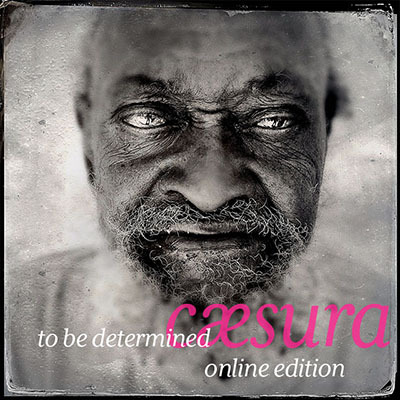 The phrase "to be determined" immediately brings forth certain ideas, but without context which one appears first? Does it measure the strength of your determination? Does it mean there is no decision? Does it portend the potential of a seed or child? Though not exactly a timeless puzzle or kōan, there isn't an answer as much as an opportunity to realize and hopefully reply. The editors understood the likely agitation and confusion with an indeterminate call deliberately acting as provocateurs in search of raconteurs. We appreciated the patience with our playfulness, and understood the blank stares and questions sent our way. However, the range of themes and styles submitted show a dedicated and diverse set of voices that expressed themselves beautifully; great perspective, wonderful humor, and big hearts. During a chaotic moment in history, the editors recognized the peaks and valleys our friends, families and communities were enduring. 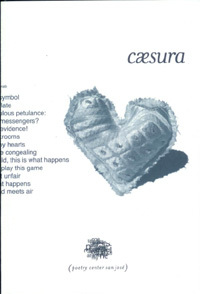 Whether ascending or descending we wanted the artists to pause (take a cæsura "||") and share their moment. So we called for their location. Like a trail map posted at a crossroad that has an arrow pointing and says, "you are here," we shared an arrow pointing at a dot with no map and asked, "you are where." The submitted art would declare the location. The beauty, challenge, and strangeness of this call, was that it had no theme. 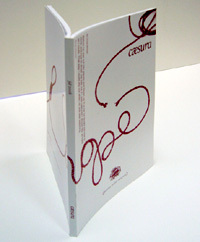 The artists, unbound of that constraint, shared with a wave of creative, insightful, graceful, and powerful poems. 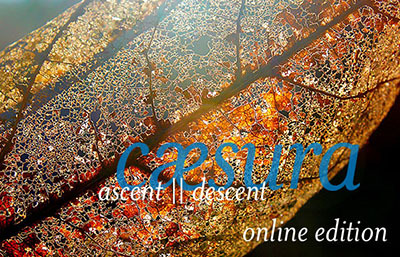 Accompanied by stunning, commanding, colorful, and playful art, the print and online versions of Ascent || Descent are beautiful examples of where we are. In the spirit of competition and global unity, we decided to hold The Poetic Games. 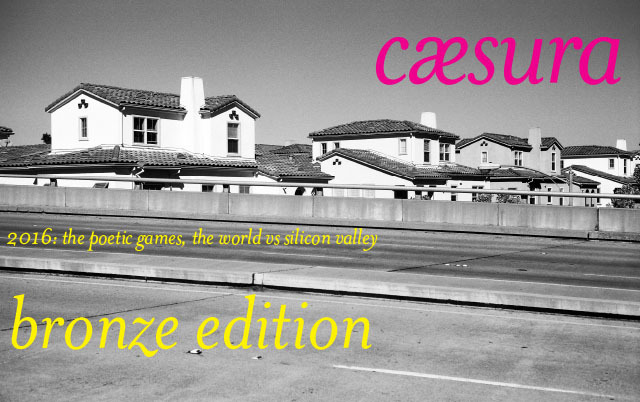 Teams were picked, The World, and Silicon Valley. The plan was to have each team's best poem placed next to each other allowing an easy comparison as the poems were read. 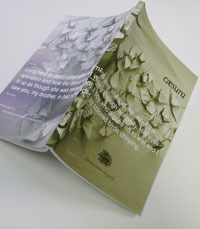 But to make it resemble a race, the poems needed to at least be similar in form and content. Ten poetic forms were chosen to represent competitive events. As a further challenge to the competitors, each form was limited to three topics. This was done in part so we could evenly match the poems by their form and topic, making the competition less subjective. Also, we felt that the pre-determined topics would require most participants to write new poems, thus bringing the artists into a shared experience that is the Poetic Games. 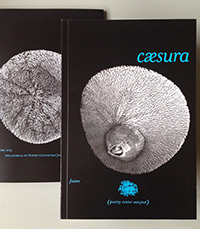 The 2015 Cæsura features playful, imaginative poems by Sara Key, Karla Linn Merrifield, John Nimmo, Kenneth Pobo, and many of our very own PCSJ poets. Editors Leslie Hoffman and Erin Redfern would like to thank a dedicated team of reviewers for their work in building this collection of diverse, international voices. Joe Miller's selection of brilliant full-color images, as well as the Jay Ruland cover photograph of an Aptos sand dollar, complement the issue's theme of "Fusion." Disability is a condition, physical, mental, etc., that limits a being's ability to function. Infirmite, in French, or behinderung in German, one or another is often defined by some infirmity or hindrance. Oedipus was club-footed, Tiresias was a blind seer, and every Achilles has his heel. We tend to focus on what ails us, albeit infinitesimal, for we are constantly in competition for resources. When you ask anyone today about disability, they are quick to bring up Post-Traumatic Stress Disorder or Attention Deficit Disorder, sometimes dyslexia, almost always wheelchair accessibility, and so on in an infinite variety of degrees and definitions. 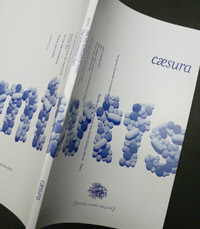 This issue of Cæsura is interested in, but not limited to, these and other interpretations of the topic (dis)Ability. December 21, 2012 isn't the first prediction of the end of the world—and certainly, it won't be the last. What is it in the hearts and minds of humans that preoccupies us with our ultimate end? In recent years, we've been hearing about Mayan prophecies, yet more talk of the Rapture, and even predictions of aliens coming down to beam us away. 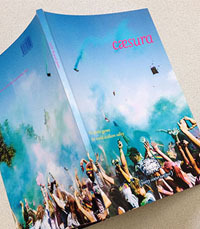 In this issue of Cæsura, poets express surprising optimism and realism in the face of cataclysm. 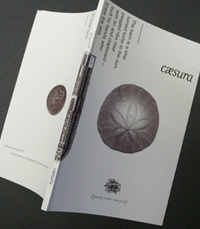 At 134 pages, the largest issue to date of Cæsura, featuring an interview with Sally Ashton, Poet Laureate of Santa Clara County, and two of her poems. Read the interview with Sally Ashton here. 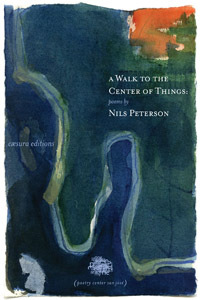 PCSJ is proud to present as its first offering in its new publication series, Cæsura Editions, Nils Peterson's A Walk to the Center of Things. 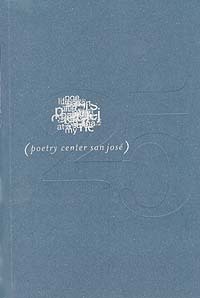 Nils Peterson was chosen as the first Poet Laureate of Santa Clara County because of the many years he spent making poets and poetry available to the public, his encouragement of young writers, and for his own work. This collection confirms the wisdom of that choice. About the book, Jane Hirshfield has said, "A lifetime's attention to both writing and living buoys these intimate, intelligent, sometimes chastened, sometimes celebratory, but always compassionate pages." Joseph Stroud added, "Varied in subject and manner, his poems embody a deep pleasure and wonder in being alive, and they bring us into the company of a larger life." Robert Bly adds Nils Peterson's poems show "great affection for the feminine, and they are wonderfully patient with human confusion." Nils Peterson is Professor Emeritus at San José State University where he taught in the English and Humanities Departments. 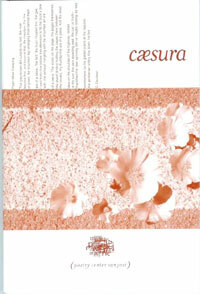 He has published poetry, science fiction, and articles on subjects as varied as golf and Shakespeare. He was nominated for a 2005 Pushcart Prize. His publications include Here Is No Ordinary Rejoicing, The Comedy of Desire, Driving a Herd of Moose to Durango, For This Day, Revenge of the Socks, and now A Walk to the Center of Things. 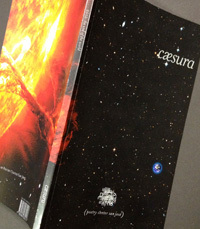 The Cæsura Edition A Walk to the Center of Things was sent to PCSJ members and is available for sale at Barnes & Noble and Amazon.